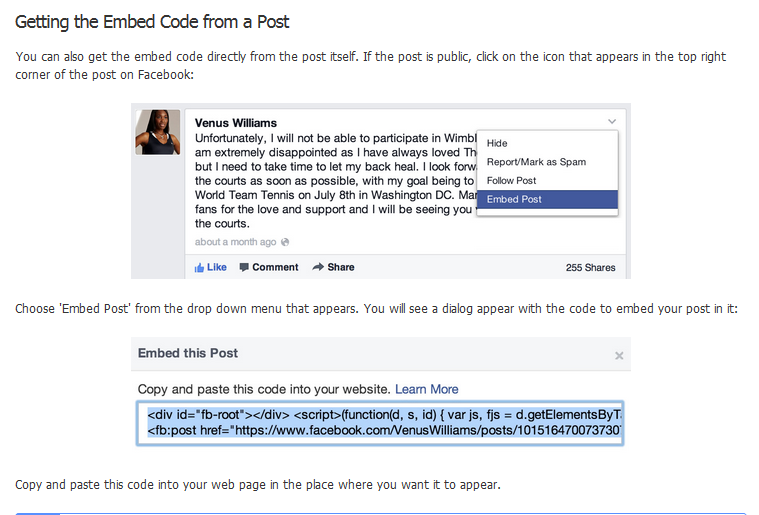 As of today, Facebook’s embedded posts feature is available to all Facebook users. This feature allows owners of Web properties (like WordPress Web sites and blogs) to embed Facebook posts into those properties. One might think, “It’s about time,” since we’ve been able to embed tweets in our Web properties for a long time. But hey, better late than never, right? PS: I’m thinking of posting a new blog article that embeds a Facebook post (from my own company Page) that links to the blog article. That way, my readers will be caught in a never-ending loop. Heh, heh. PPS: Here’s the offical Facebook documentation for Embedded Posts. Will you use this feature? What do you think abou it? Comments welcome below.